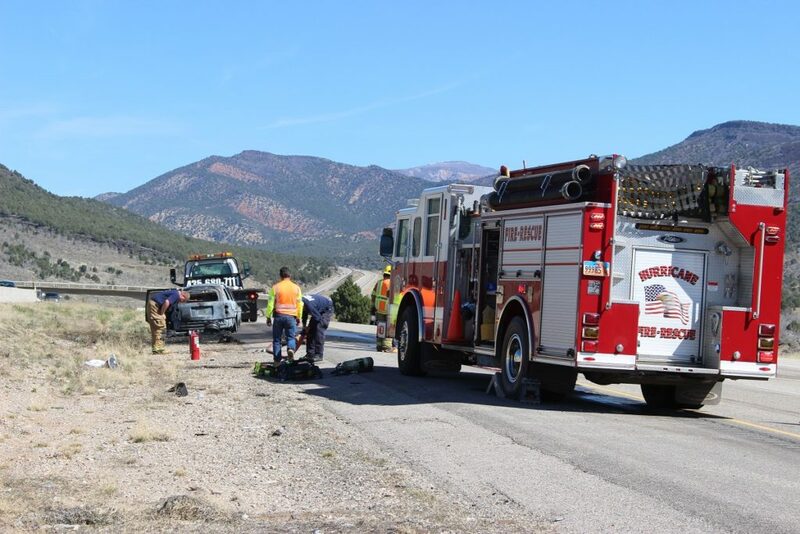 WASHINGTON COUNTY —A man traveling through Southern Utah with his service dog is safe after a passing semitractor-trailer driver warned him to pull off the roadway mere moments before his car burst into flames. 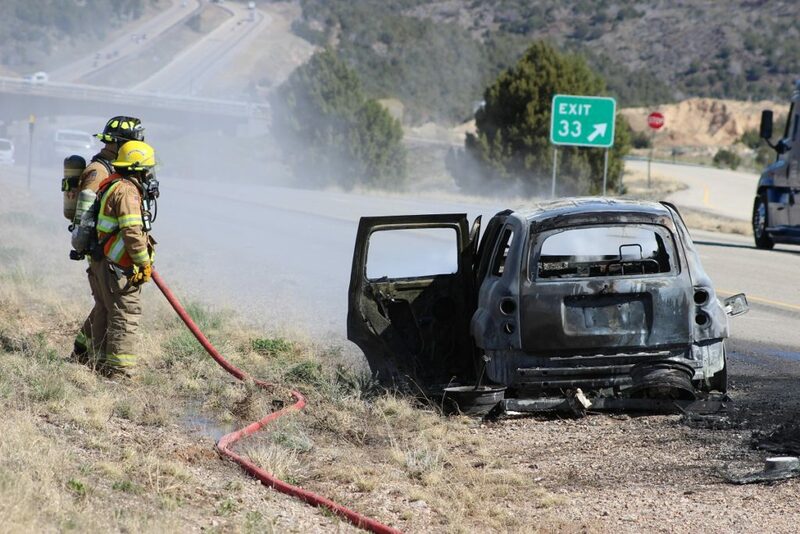 Shortly before 11:30 a.m. Thursday firefighters and emergency personnel responded to a reported vehicle fire on Interstate 15 northbound near the Snowfield Exit 33, Utah Highway Patrol Trooper Brian Lacy said. 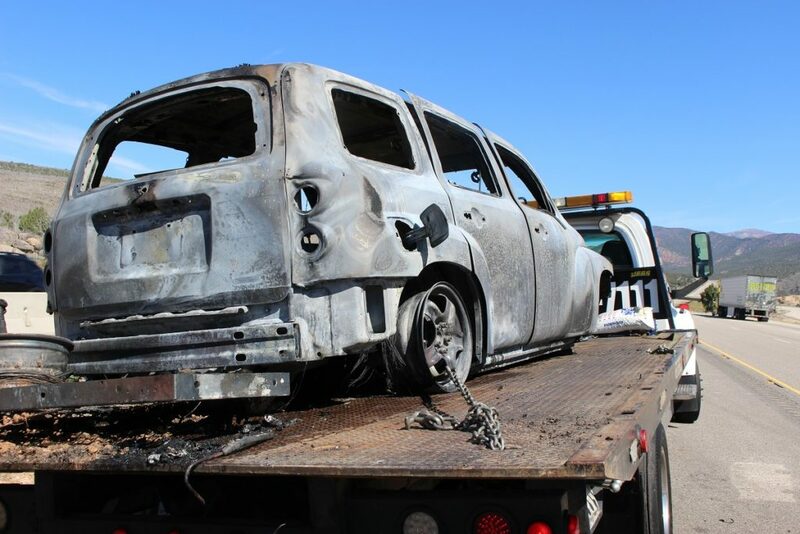 Once on scene officers found a 2011 Chevrolet HHR passenger car fully engulfed in flames with the driver and his dog outside of the car and waiting nearby. Firefighters arrived minutes later and immediately began fighting the blaze that took more than 20 minutes to extinguish, according to a witness at the scene. Lacy said the Chevrolet was in the No. 1 lane when the driver observed a semi traveling to his right in the No. 2 lane. The semi driver was motioning to the man to pull his car over while alerting him that something was wrong. Just then the Chevrolet driver noticed smoke coming from the front of his vehicle and quickly pulled over to the left shoulder of the Interstate to check the vehicle and call for help, the trooper said. 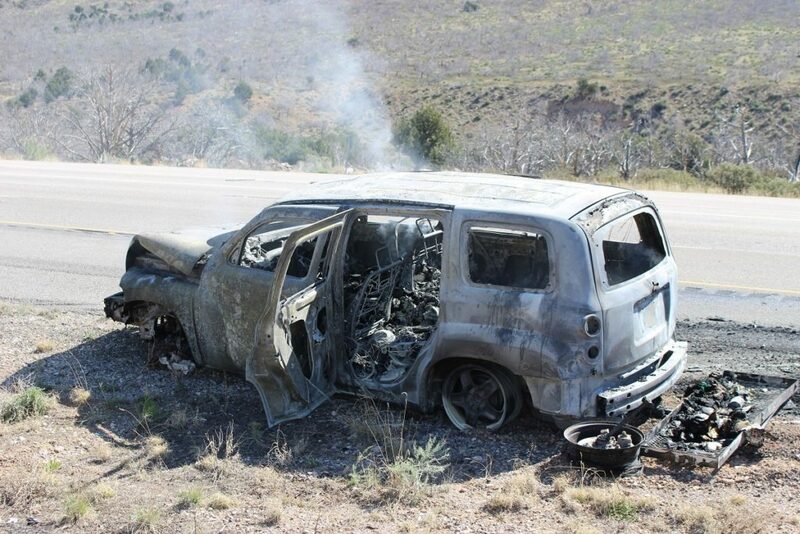 By the time troopers arrived, the car was engulfed in flames. Moments later firefighters arrived to try and control the blaze. 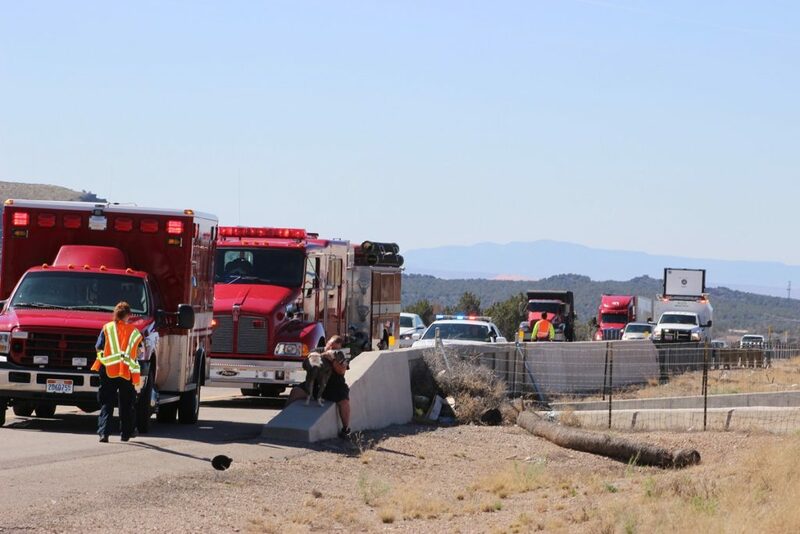 The man told officers he installed a new luggage rack in the rear of the vehicle and speculated that something caught fire after being exposed to the heat of the exhaust pipe, Lacy said. However, firefighters on scene told the trooper that the fire appeared to have started in the front of the car, possibly under the hood. 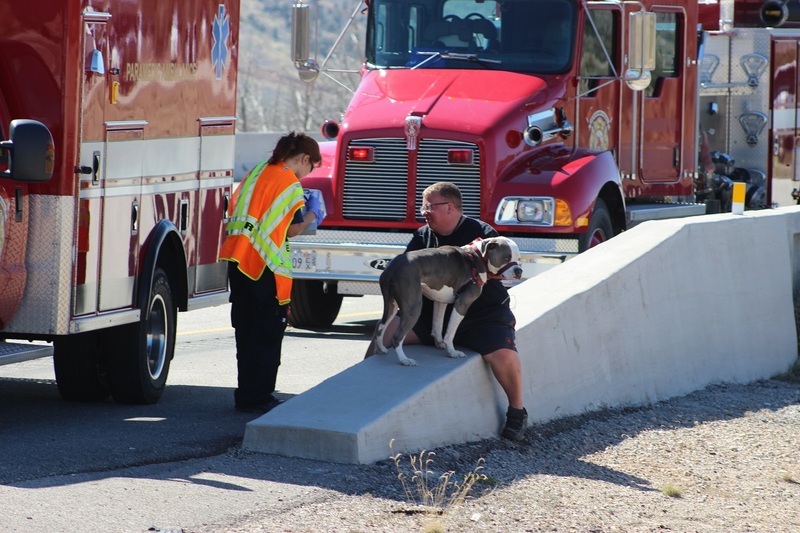 The driver and his dog, a service animal that was traveling with him, were able to get out of the vehicle with no serious injuries reported, Lacy said. “The man attended a funeral in California and was returning home to Wisconsin when this happened,” Lacy said. The car was destroyed by the fire and towed from the scene. No citations were issued to the driver after the incident. The cause of the fire is under investigation, the trooper said. 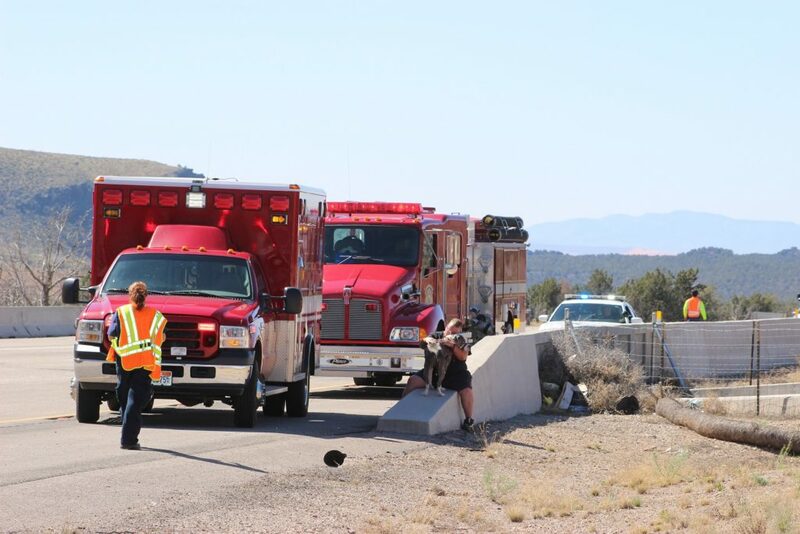 The Utah Highway Patrol, Hurricane Valley Fire District and the Utah Department of Transportation’s Incident Management Team responded and tended to the scene.